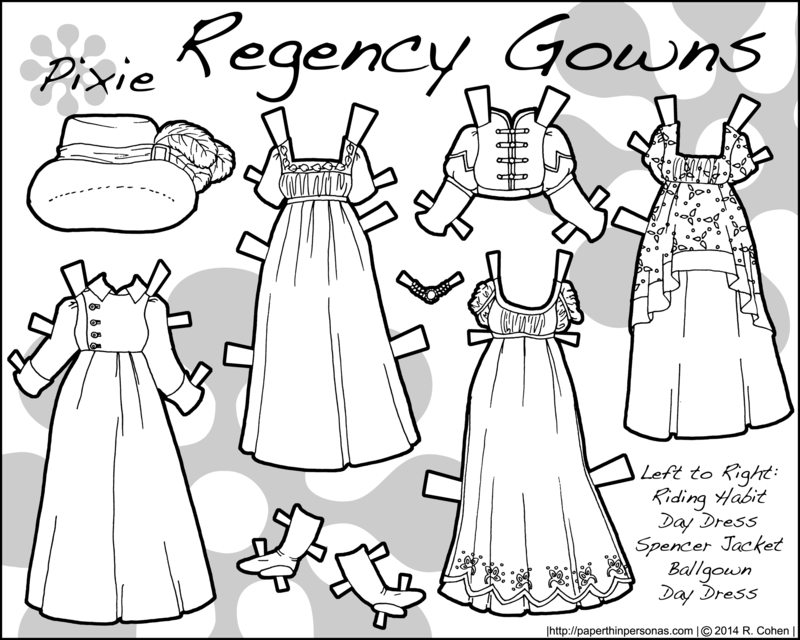 You know I always love seeing historical fashion (or even semi historical – steampunk anyone? 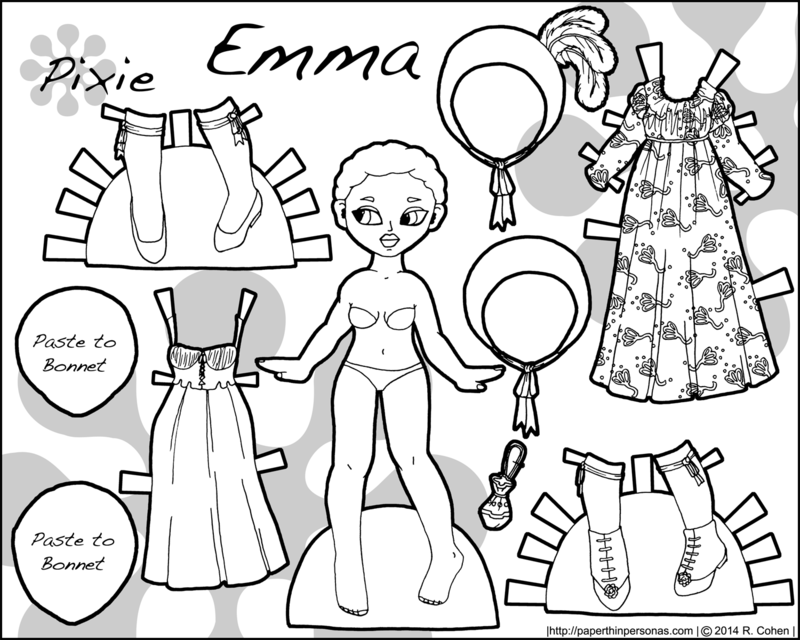 ), though I honestly don’t care which of your dolls wears it as they’re all lovely. Yeah, the neck-ruff thing… not my favorite look, but very popular. I sometimes think people always tell me how much they like Marisole, so she (and her friends) end up with all the “love”, but I rather like the Pixies, because they seem more kid friendly to me (easier to cut out and such…). 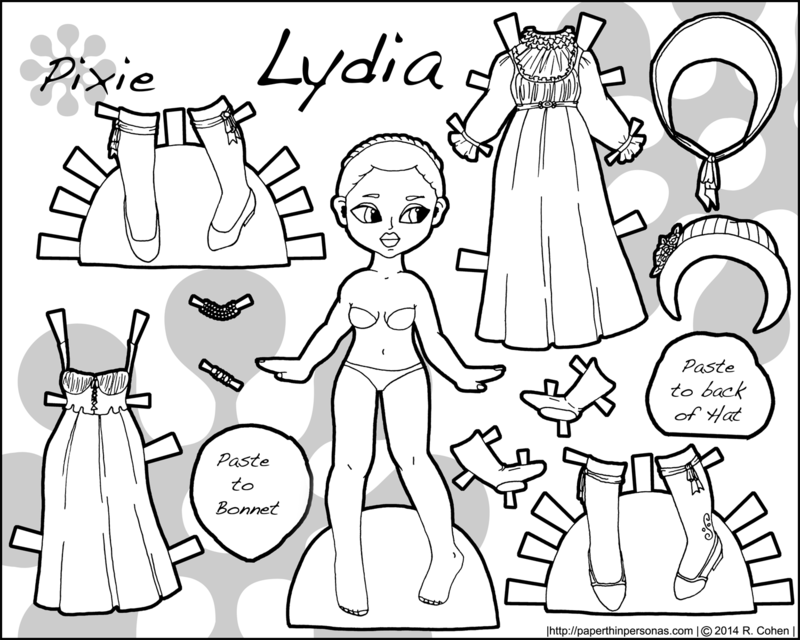 Of course, choosing a favorite paper doll is rather like choosing a favorite cheese and I love all cheese (except American cheese and I don’t think that’s real cheese anyway…), so a favorite paper just depends on my mood on any given day. I thought of who I want to see in historical fashion: Bodacious and Boxum. Because not every woman in the past was a size 0 like miss Marisol (who I’ll admit may not be a size 0 exactly, but is pretty skinny). I love anything you do that’s historical, but I would really like to see older stuff… more medieval and renaissance outfits would be a lot of fun, I think. These are very cute and pretty!! 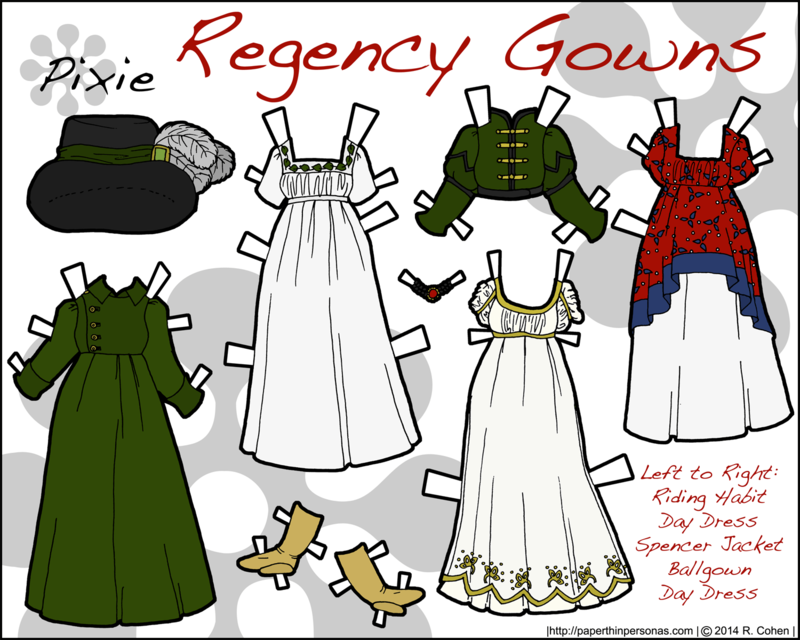 The Regency era is one of my favorite historical costume eras. I especially like the riding habit you have here.